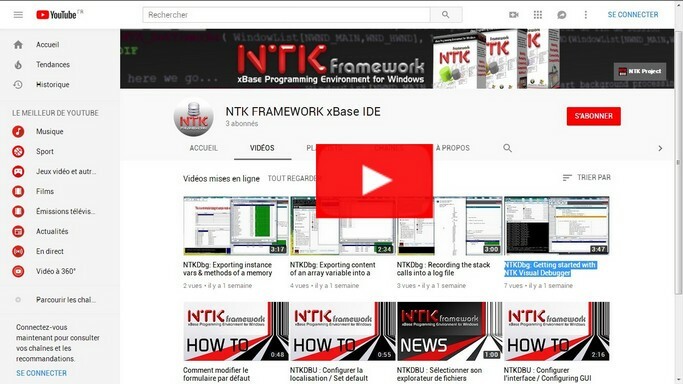 This media will be fully dedicated to video-training and tutorials related to NTK-Framework & NTK-Technologies. We sincerely hope you'll find our videos helpful. And... don't forget to click the little "I Like" icon (Thumbs up) to encourage us. Also, if you have any suggestions to videos you'd like to see in the future, leave us a comment below. YouTube channel - Just send us an e-mail to submit your work.